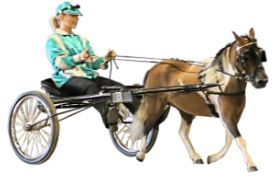 Our Mission: Promoting the miniature horse breed, providing interesting activities and encouraging the education of owners and breeders in horse keeping practices. The Idaho Miniature Horse Club was formed in 1993 to promote the miniature horse industry in Southwest Idaho. Our club members participate in educational, social, community events, and horse shows. We meet regularly, publish a newsletter, and sponsor annual awards to youth and adults, and a gelding incentive program. We hold clinics with expert clinicians, and we conduct play days to provide practice and encouragement in a relaxed atmosphere. As an open club, we welcome all equine 38 inches and under. In addition, our club is recognized by both AMHA and AMHR. We invite you to join us in fun activities and rewarding opportunities to strengthen your relationship with your miniature horse. In the Treasure Valley area, many miniature horse owners and breeders are available and would be happy to show you what our horses can do. We invite you to call us with your questions about miniature horses or if you would like to join our club. See Events Page for scheduled clinics and shows. Next meeting is at 6:30 p.m. on Thursday, May 9, 2019, at Mr. V's Family Restaurant located at 407 N. 10th Ave., Caldwell, ID 83605.